The ‘Data Discman’ was launched in Japan in 1990, and released the following year in the United States. It was the world’s first electronic book reader (or ‘player’, as Sony called it). Its 3.15 inch miniature discs could store up to 100,000 pages of text, or 32,000 graphics. Encyclopaedia and travel dictionary (traditionally large books) software were usually included as a sales bundle. Its target market was students and international travellers. The device was designed to be used in transit. It weighs 705g with its battery which, while heavy compared to modern e-books, was remarkably lightweight for an early portable product of this type. The DD-1EX was powered by a rechargeable battery, or by a battery pack containing four AA batteries. On a full-charge it could be used for up to three hours. It could also be plugged into mains electricity for use indoors. The very earliest versions of the Data Discman could not be used to play audio CDs, but later models did include this function. 90,000 units sold in Japan during its first eight months, but the Data Discman was less successful in Western markets. Only a limited number of titles were released for the Data Discman, and its high cost placed it out of the reach of most student budgets. Despite the lack of commercial success, the DD-1EX presaged the enormous popularity which e-book readers would go on to enjoy in the early years of the 21st century. Sony DD-1EX Electronic Book Player, AKA 'Data Discman', with rechargeable battery, DC battery back, AC power cable, video output cable, box, instructional manual, promotional literature, 'Scrabble Word Finder' compact disc programme and packaging. This object was originally lent to the V&A for the exhibition The book and beyond: electronic publishing and the art of the book (April - October 1995) [94/371]. It was given to the V&A in 2015 [2015/871]. The compact disc format was developed jointly by Sony and Philips from LaserDisc technology in the late 1970s. The CD was originally developed to store and play sound recordings (see Sony D-50, W.1-2015), but was later also utilised for storage (CD-ROM). Taking advantage of this, the DD-1EX ‘Data Discman’ was launched in Japan in 1990, and released the following year in the United States. It was the world’s first electronic book reader (or ‘player’, as Sony called it). Its 3.15 inch miniature discs could store up to 100,000 pages of text, or 32,000 graphics. Encyclopaedia and travel dictionary (traditionally large books) software were usually included as a sales bundle, its target market was students and international travellers. The device was designed to be used in transit. It weighs 705g with its battery which, while heavy compared to modern e-books, was remarkably lightweight for an early portable product of this type. Indeed, the first CD-player, the Sony D-50 (1985), weighed 590g without its battery pack, and was considerably heavier with it. The DD-1EX was powered by a rechargeable battery, or by a battery pack containing four AA batteries. On a full-charge it could be used for up to three hours. It could also be plugged into mains electricity for use indoors. The very earliest versions of the DD-1EX could not be used to play audio CDs, but this version, which probably dates from 1991 when the type began to be exported to the west, did allow this function. 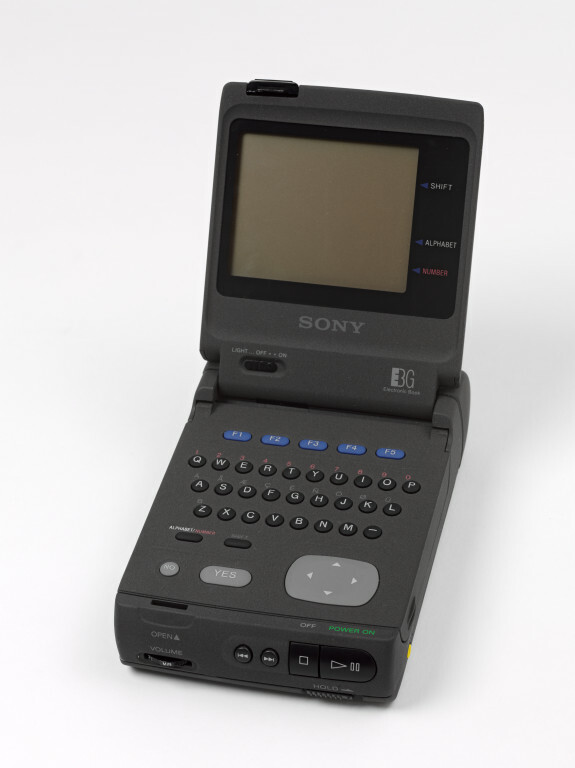 Few titles were available for the device because all programmes had to be formatted for the 3.15 inch CD-ROM using Sony’s development software, which was licenced to publishers for a fee of $9,000. Consequently, few publishers decided to use the new, untested format. At launch, only twenty programmes were available in addition to those included in the bundle, and only one literary title, The Library of the Future, was produced (although admittedly this did contain a large number of titles within it). The initial cost was of the unit was $550, which was outside of the budget of many students. Despite this, 90,000 were sold in Japan during its first eight months on the market. It was not a success outside of its country of origin, but it was followed by several other versions until the line was discontinued later in the 1990s with the emergence of Personal Digital Assistants (PDAs), which could offer more functions in an often smaller device. 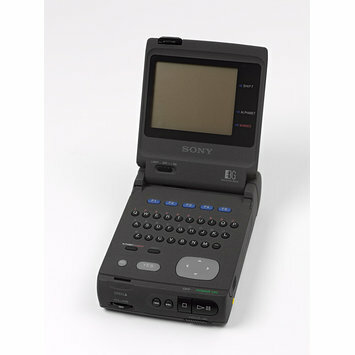 This was the first e-book reader. Its pre-recorded miniature compact discs could store 100,000 pages of text. It was marketed as a convenient device for students and international travellers, and usually packaged with encyclopaedia and travel dictionary software. However its cost was prohibitive to many and few programmes were available, so it was not a commercial success.